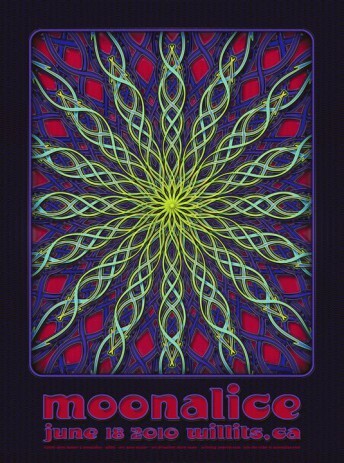 According to Moonalice legend, Dave Hunter's poster is another reminder that we are actually a tribute band. 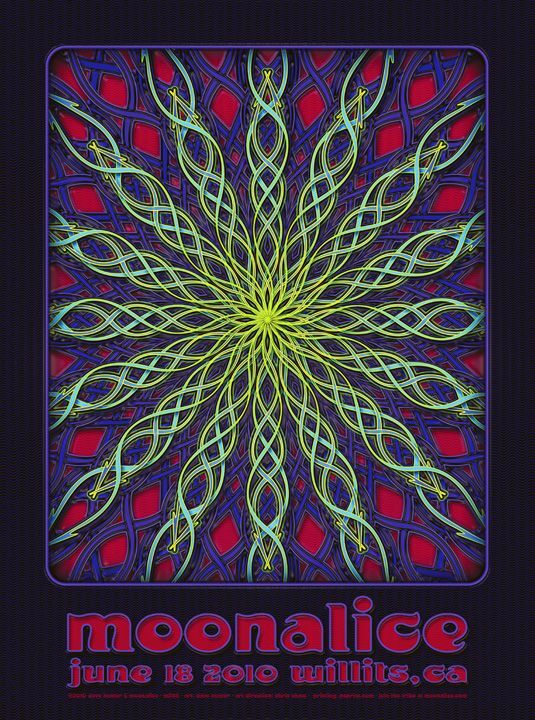 We pay tribute to the band Moonalice by reproducing classic shows note-for-note. Today's show reproduced what Dave's poster claims was a show from exactly a month ago, June 18. We can't find any mention of a June 18, 2010 show in our schedule, but by the end of the day that is was a great show. According to Moonalice legend, Willits' own Seabiscuit is an honorary member of the Moonalice tribe. We are partial to underdogs, but especially to underhorses, of which Seabicuit is the all time greatest. We say this because someone told us that Seabiscuit's favorite band is Moonalice. We were about to say, "Thanks, dude, but Seabiscuit's dead . . ." but then we realized that being dead should in no way disqualify one from membership in the Moonalice tribe. This is going to do wonders for the size of our fan base.